Congratulations to SVP Yachts, the Greenline and Ocean Class builder. 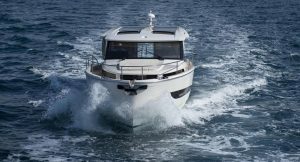 On March 15 the new Greenline 36 was elected Slovenian Boat of the Year for 2017. 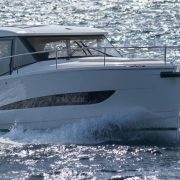 Her style, performance and comfort won many new owners both in Europe and USA after successful presentation at the Fort Lauderdale and Düsseldorf boat shows. 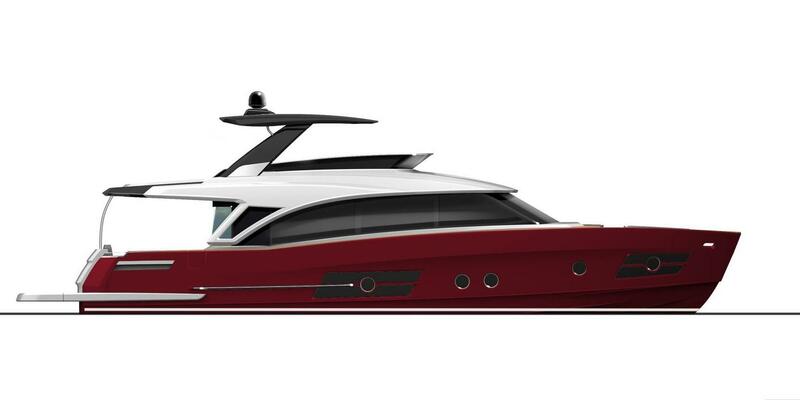 Greenline 36 is J&J’s sixth design for the Greenline / Ocean Class line ranging from 33 to 70 feet. Fjord 42, first presented in Monaco 2016, won the hearts of the yachtsmen worldwide. 2017 production is sold out and the video made by Fjord illustrates well the reasons of this success. J&J was responsible for interior and exterior design and engineering of the Fjord 42. 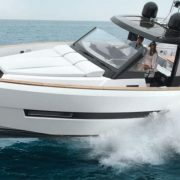 … Aquila 44, Aquila 48, Sea Ray 400, Sea Ray 460, Ferretti 450 (US premiere), Fjord 42 (US premiere), Bavaria R 40 (US premiere), Fairline 48 Targa, Fairline 48 Squadron, Fairline 48 Targa Open, Greenline 33, Greenline 36, Greenline 40, Greenline 48, Monte Carlo 76, Prestige 50, Prestige 55, Prestige 63, Prestige 68, Prestige 750, Ocean Alexander 70E. In the December / January issue of the Professional Boat Builder magazine, the dominant resource in the field of recreational marine technology, Nigel Calder published a thorough, 12-page report on the hybrid marine systems from the first beginnings a decade ago to the most recent developments. The author, a contributing editor of the magazine and a member of the American Boat & Yacht Council’s Electrical Project Technical Committee, introduced the topic with the following remark: Though the hype around marine hybrids died down after early failures, the development of these systems has persisted. The results include some viable and almost-viable power choices for the recreational marine market. Among projects which have hit the sea the contribution of J&J Design deserved a special mention: … By far the most successful implementation of the parallel approach is to be found in the Greenline series of powerboats … In the second part of the article the author discussed several different approaches, from low-consumption systems in U.K.’s canal narrow boats to the modern “hour of power” concept in superyachts, where the idea is … to provide these boats with sufficient battery-powered electric propulsion to enable operating at up to 10 knots for one hour to get in and out of harbors and anchorages, resulting in zero emissions. An accent from the conclusion: One way or another, the combination of technological advances (especially in lithium-ion and lead-acid batteries), dogged perseverance, and an increasing body of real-world experience is finally delivering reasonably well-tested and proven parallel and serial hybrid systems. J&J Design is proud to present their latest development: the Ocean Class 65. The hull shape and superstructure were designed with world-girdling, ocean going performance in mind. With her powerful engine options (twin CAT Acert 1150 HP engines, shaft drive), long range fuel tank capacity, anti-roll stabilizers and all the amenities of home, she will pamper her guests whether on a cruise around the world or at rest in your favorite anchorage. 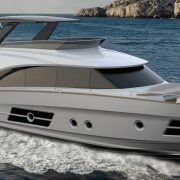 At the Fort Lauderdale boat show in early November the new Greenline 36 Hybrid was received with applause. First 36s were sold to USA and trial sailing dates are booked out through the end of this year. The video gives an initial overview of this new J&J project. Our office conceived, designed and engineered the boat. Complete tooling and prototyping support was supplied by RND. 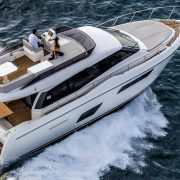 The Ferretti 450, first shown at the Cannes Yachting Festival in September, amazes with her good looks, beautiful interior styling, ample space, practicality and, especially notable large flybridge area with many amenities. 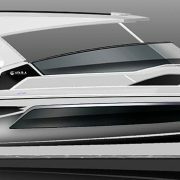 The new hull design is a most useful synergy of seaworthiness, performance and easy handling. 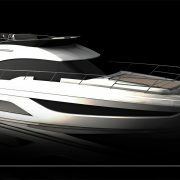 The design was made by Zuccon International Project, and J&J Design is responsible for the naval architecture, engineering of the yacht and the design of the new production process. At the Monaco Yacht Show 2016 at the end of September Fjord 42 Open was introduced, 12.8 meters of sheer performance and design. Twin Volvo IPS600 with 870 horsepower push the Fjord 42 to impressive 38 knots, while pampering her guests with unparalleled comfort, convenience and safety. The iconic design appearance will turn heads, not only in Miami and Monaco. 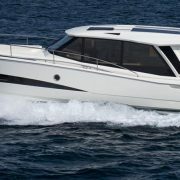 Extensive range from 900 litres of fuel, ease of use with joystick controls, water capacity of 300 litres and cockpit kitchen amenities will keep the captain and guests happy. 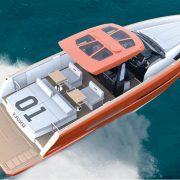 Patrick Banfield designed the hull geometry while J&J Design supplied the engineering of the boat and designed exterior, interior and the production process. At Interboot, the Friedrichshafen Boat Show 2016, a new hybrid, the latest in the Greenline range, was first shown to the public. It is a modern classic, and yet a game-changer: while introducing new, refreshed aesthetics into the Greenline Hybrid range, it is also the world’s first production boat that features reversed-cycle air conditioning as standard equipment. 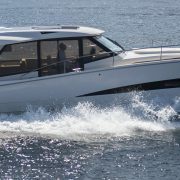 With its open, comfortable space and easy water access the new Greenline 36 Hybrid is equally well suited for fun and entertainment day trips as it is for long cruises. Powered by a Volvo D3 coupled to a Mahle electric motor and Torqeedo batterries, she has good electric range at displacement speed and fast planing in the diesel mode. 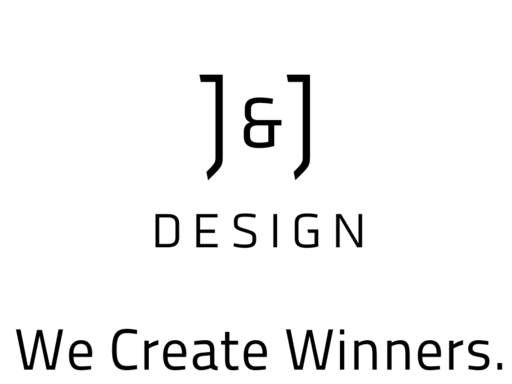 J&J Design provided the naval architecture, boat engineering, exterior and interior design as well as the production process design.